You NEVER overcome your problems by abandoning your path. You only succeed by seeing it through. In life it doesn’t matter what you are going through, it only matters that you get yourself through it. Getting through it teaches you about yourself – it gives you a new set of tools to learn how to live your life. And once learned, that set of tools will forever pave the way to a happier and more fulfilling existence for you. The truth is that you can never hide from your pain. It is always there, but you have a choice as to how you can deal with it. If you succumb to the pain, it will always win, but if you stand up to it, it will never be able to stop you. Running from your problems NEVER solves them. Trying to avoid the pain only delays the inevitable. The only way to get to the other side is to brave your way through the lesson, the hardship and the pain. It may not be the popular response, but it is the only constructive response. Once you can move beyond the painful experience, that experience is free to shift for you and the sun comes out again. Sitting out on the grass in the pouring rain only gets you wet. Crying about it will not keep you dry, but if you get up off the grass and run towards shelter, you have half a chance of staying dry. You cannot think your way through your pain, you have to get up and take action in order for things to change. 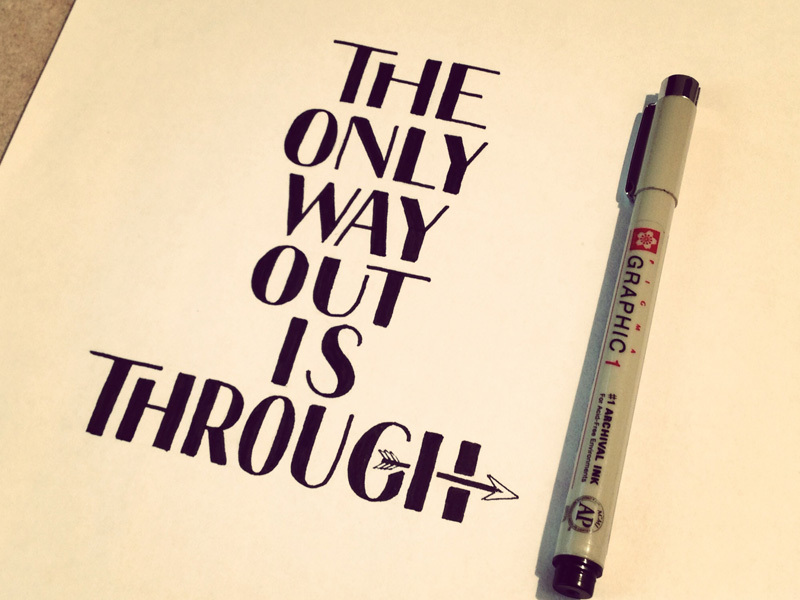 The only way out is through. Are you ready to go through it all to get to the other side? Your ability to heal is contingent on it.